In an attempt to promote inclusivity amid reports of racism, Philadelphia has added two colors to its LGBTQ pride flag. 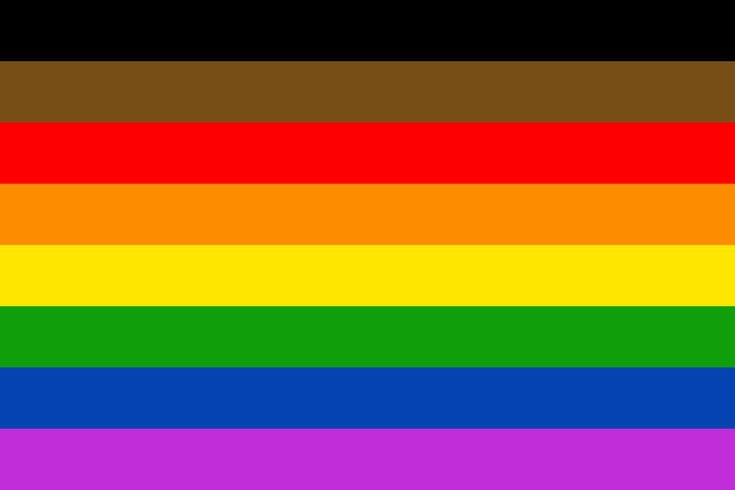 The city announced Thursday at a kickoff event for pride month the new flag includes brown and black stripes. “We’re proud to host this celebration for the community to come together not just for Pride, but also to reinforce our strides towards combatting discrimination within our community, honor the lives of our black and brown LGBTQ siblings, and uplift our shared commitment to diversity and inclusion within our community," said Amber Hikes, the director of the Office of LGBT Affairs. Accusations of discrimination in the city's LGBTQ community have boiled over during the last year. This past fall, a video leaked showing Darryl DePiano, the owner of the popular Gayborhood nightclub ICandy, using the N-word multiple times in a private meeting at the bar. DePiano later apologized. Heated community hearings were held. A subsequent city report found racism in the Center City neighborhood, and also recommended employees of the Mazzoni Center, an LGBTQ health care provider and an AIDs service organization, undergo bias training. Mazzoni Center CEO Nurit Shein and Nellie Fitzpatrick, director of the Office of LGBT Affairs, eventually resigned. The city, partnering with local ad agency Tierney, has launched a website to accompany its new "inclusivity campaign," which aims to celebrate "those who are too often left out of narratives about the LGBTQ experience." “I’m proud to join the LGBTQ community in the fight for justice, equality and stand in solidarity with all members of the LGBTQ Community,” said Mayor Jim Kenney.